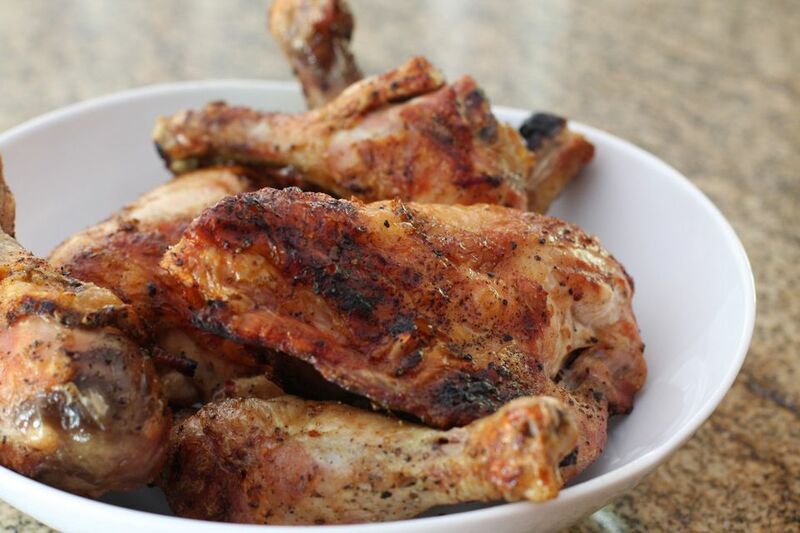 Whether it is pouring rain outside, your grill is buried in snow, or you just don't want to have to deal with the messy clean-up afterward, oven-baked barbecue chicken is a delicious and ideal alternative to grilled. This easy family dinner recipe is perfect for a busy weeknight as it doesn't require a lot of chopping or dicing—simply prepare the sauce and baste the chicken pieces! Turn dinner into an indoor cookout or picnic by serving this barbecue baked chicken with coleslaw and potato salad. The barbecue sauce is cooked on the stove first, before pouring over the chicken and placing in the oven. If you like your barbecue sauce spicy, add a bit of hot sauce or chili paste. You can also use molasses, replace the brown sugar with honey, or add a little Asian twist with a bit of soy sauce or hoisin sauce. Of course, if you have a favorite barbecue sauce recipe, feel free to use it in place of the recipe we've provided. Line a baking pan with foil; spray the foil with nonstick cooking spray. Pat the chicken pieces dry with paper towels. Combine the remaining ingredients in a saucepan and place it over medium heat. Bring to a simmer. Reduce the heat to low and simmer for 2 to 3 minutes. Sprinkle the chicken with kosher salt and black pepper. Arrange the chicken pieces in the prepared pan. Pour heated sauce over chicken. Cover the pan with foil and bake for 1 1/2 to 2 hours, basting occasionally.